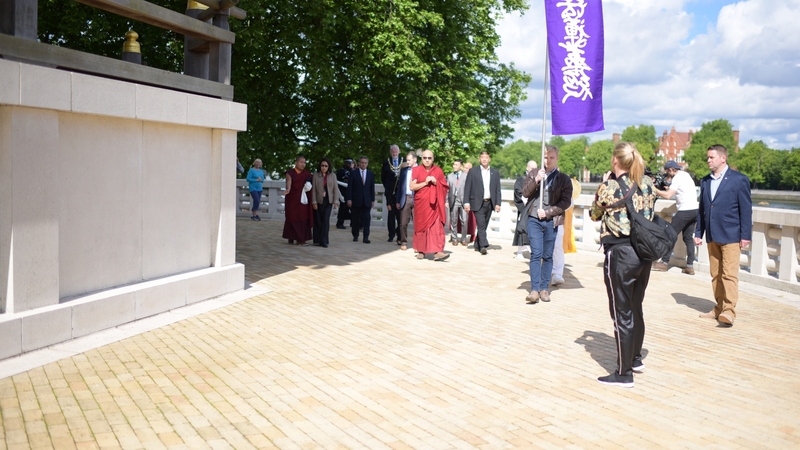 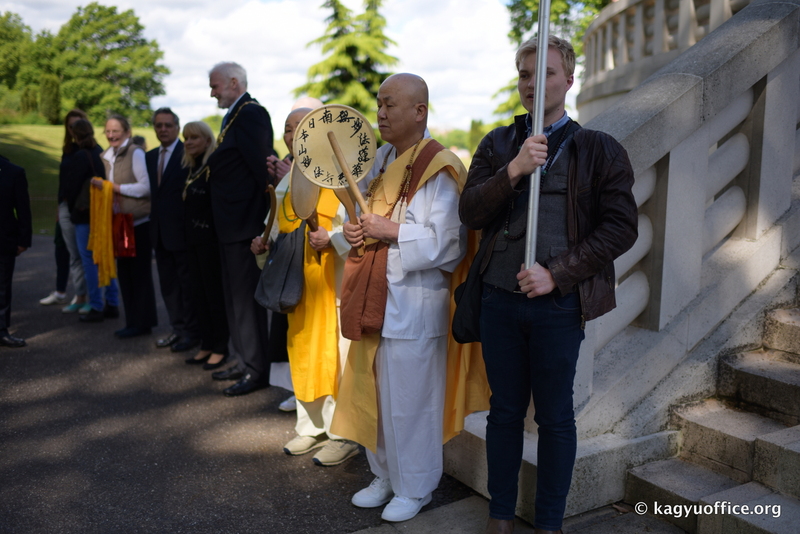 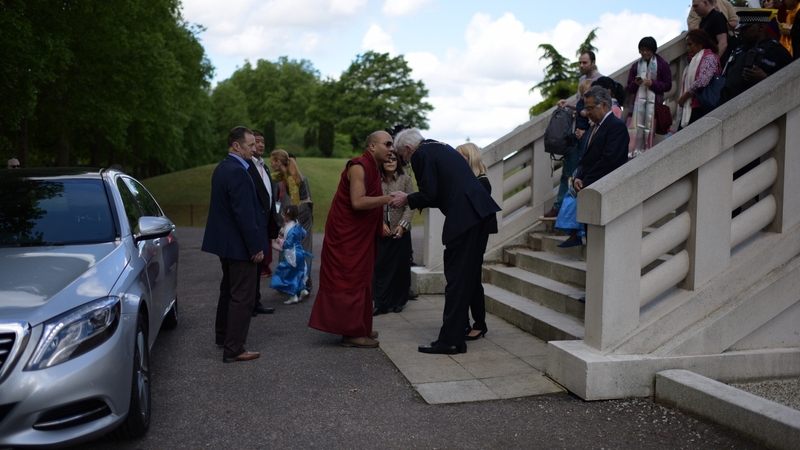 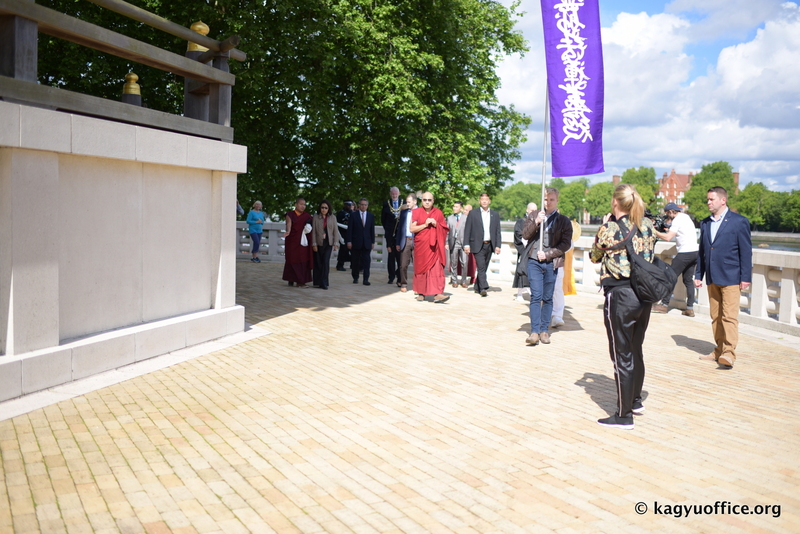 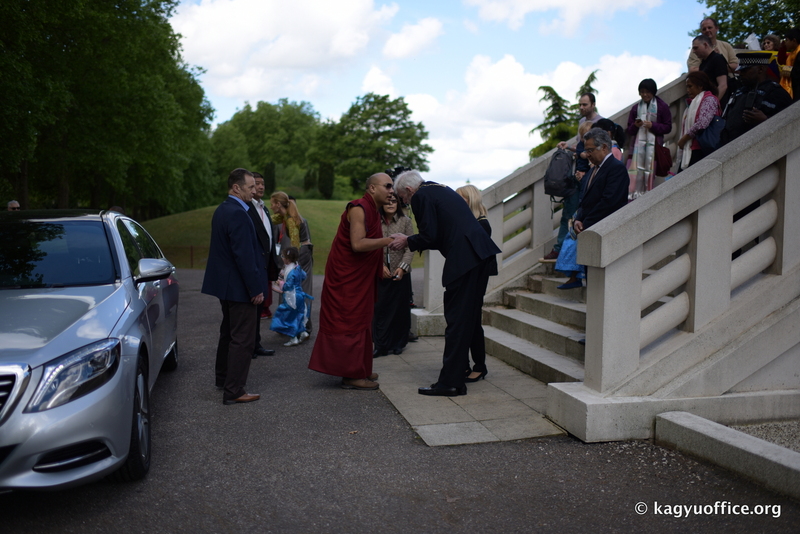 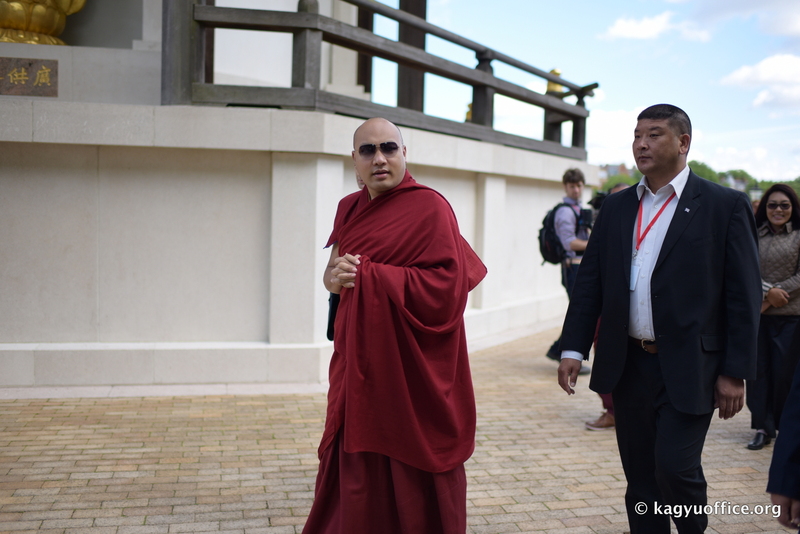 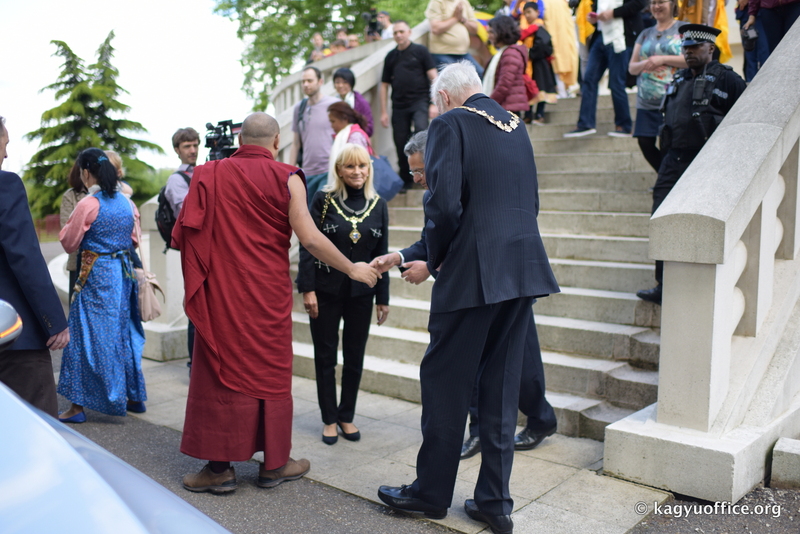 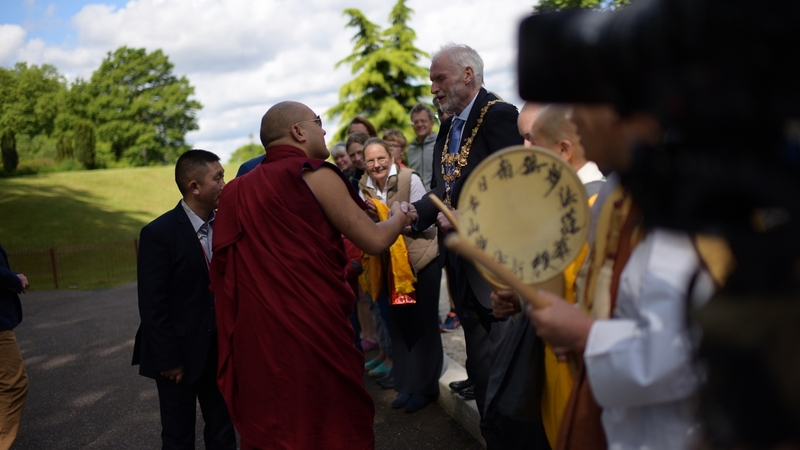 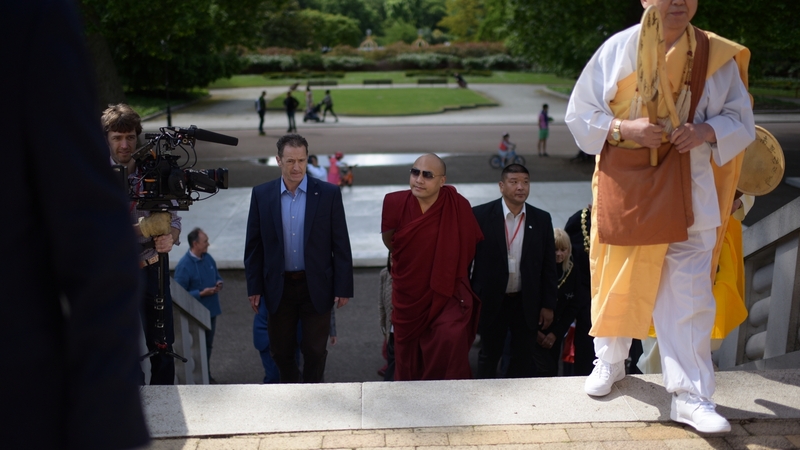 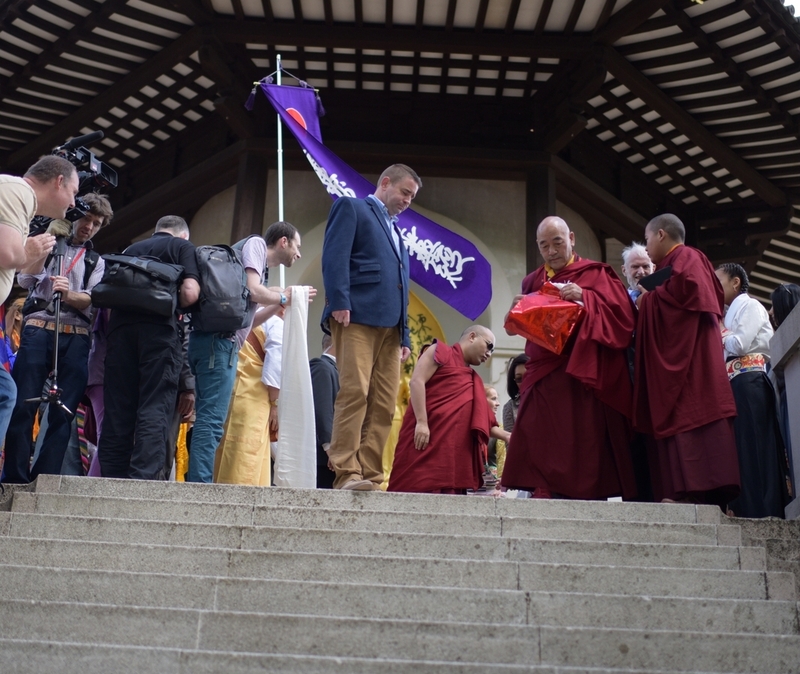 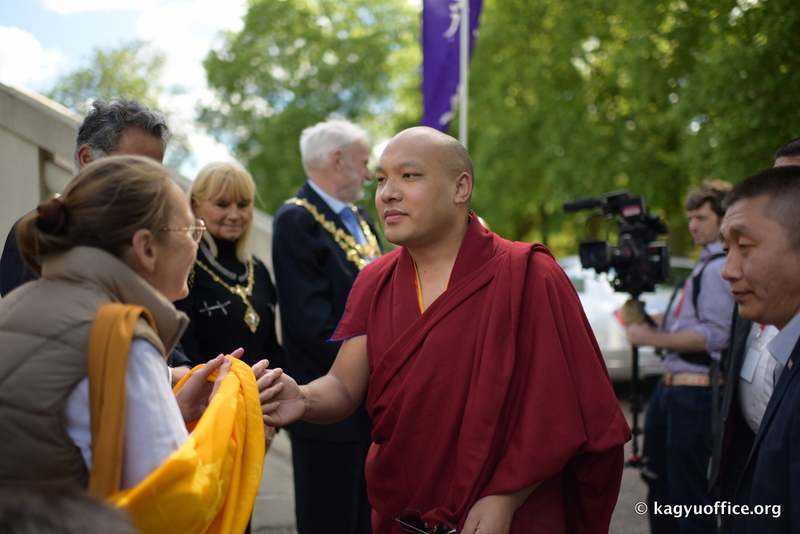 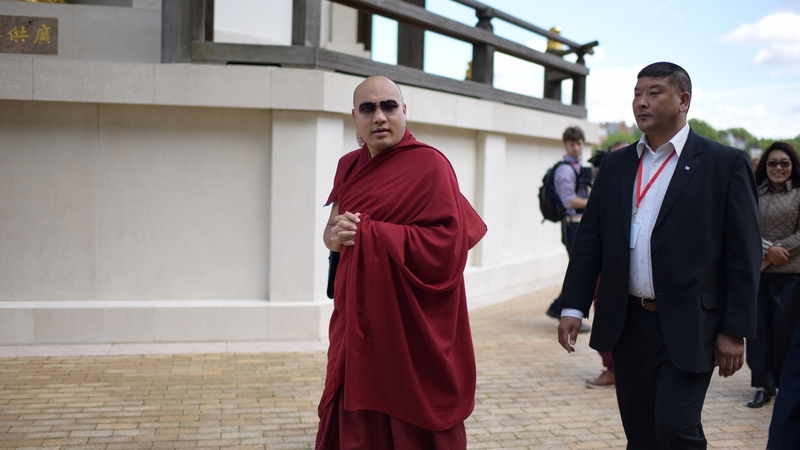 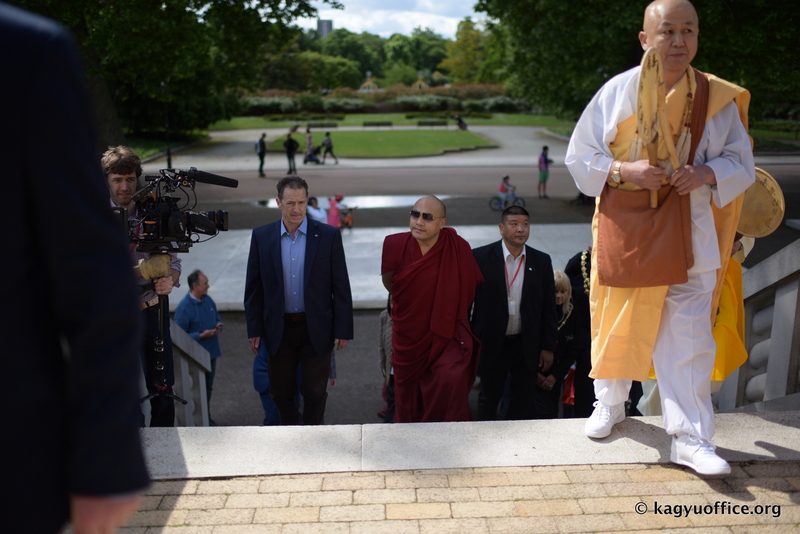 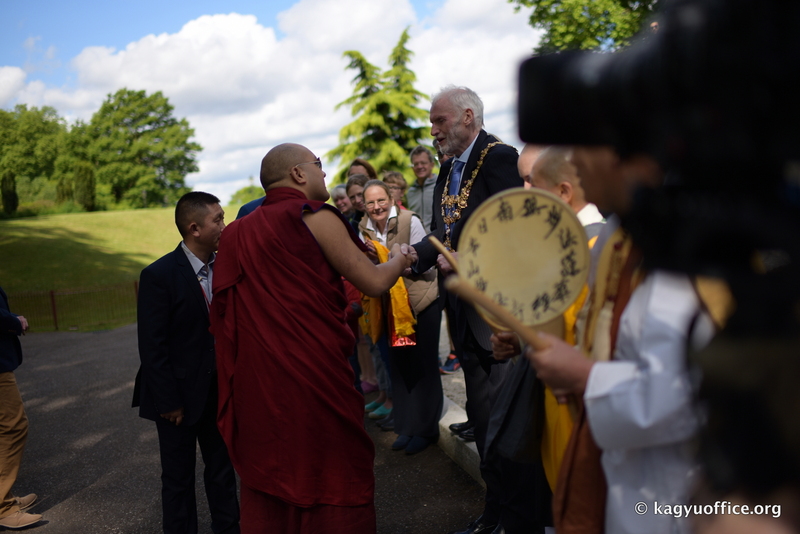 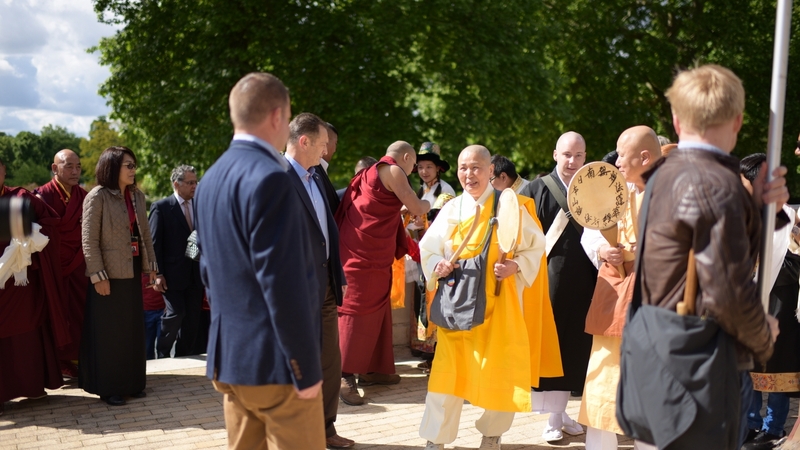 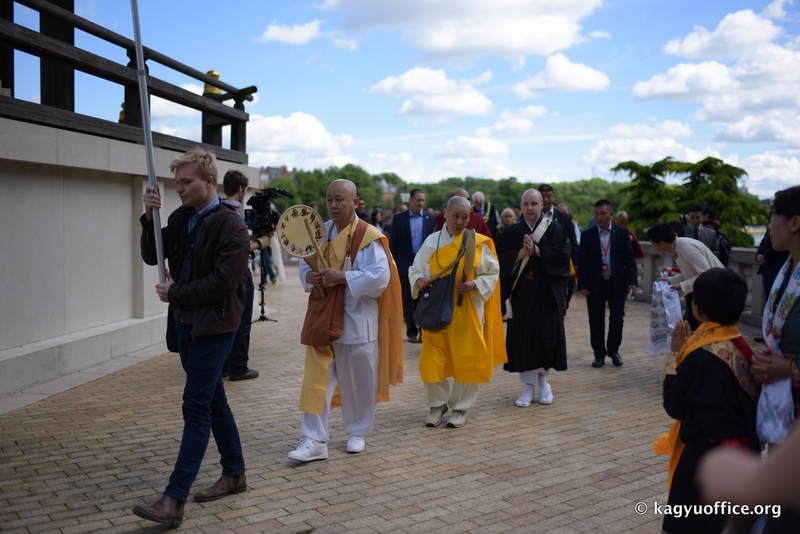 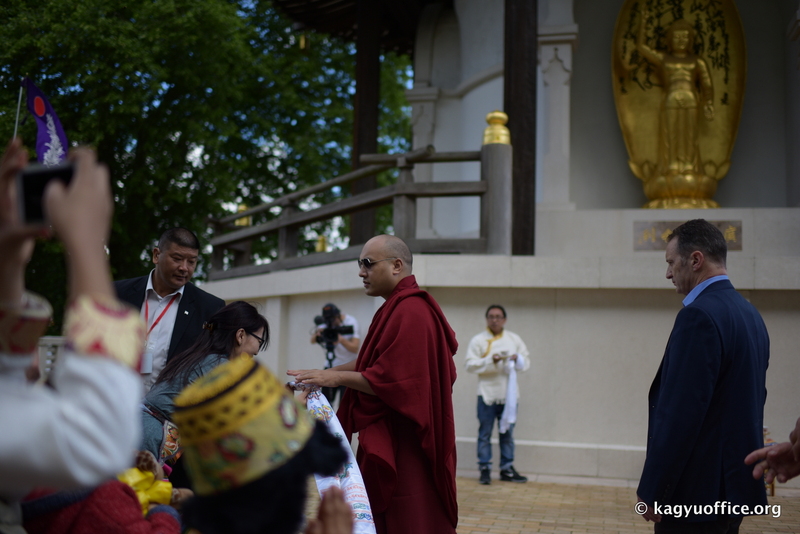 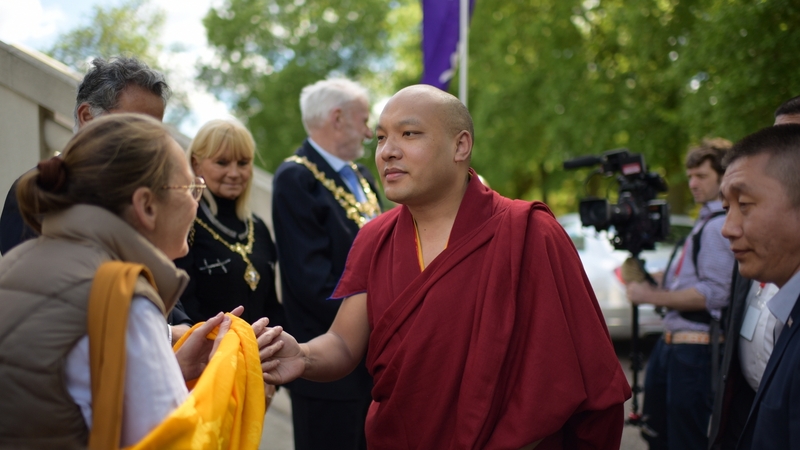 On his way to teach for the first time in England at the Battersea Evolution, the Karmapa stopped to bless the nearby Peace Pagoda, located on the River Thames in Wandsworth. 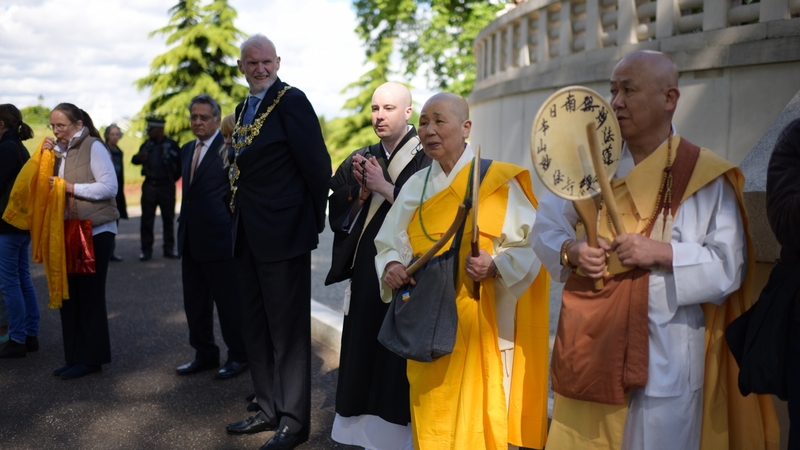 It is known as the Brighter Borough of London, and this morning lived up to its name as the sun shone brightly while wisps of white clouds perched in a wide and light blue sky. 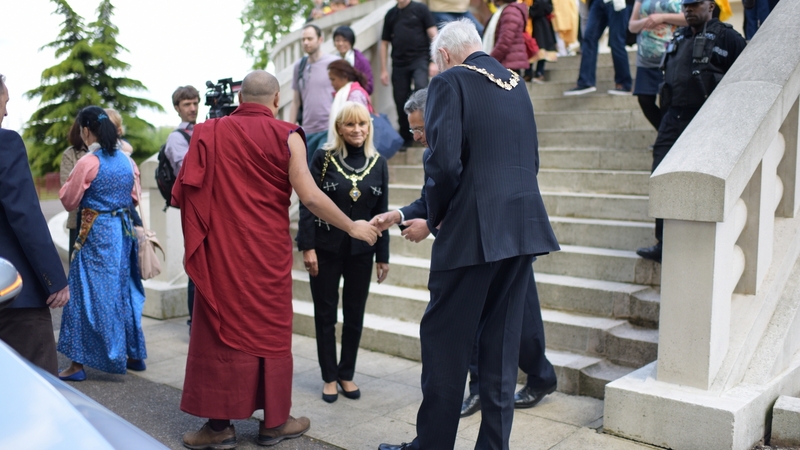 The mayor of Wandsworth, Clir Jim Madden (reelected just yesterday) and his wife were present in their impressive regalia of golden mayoral collars or chains of office. 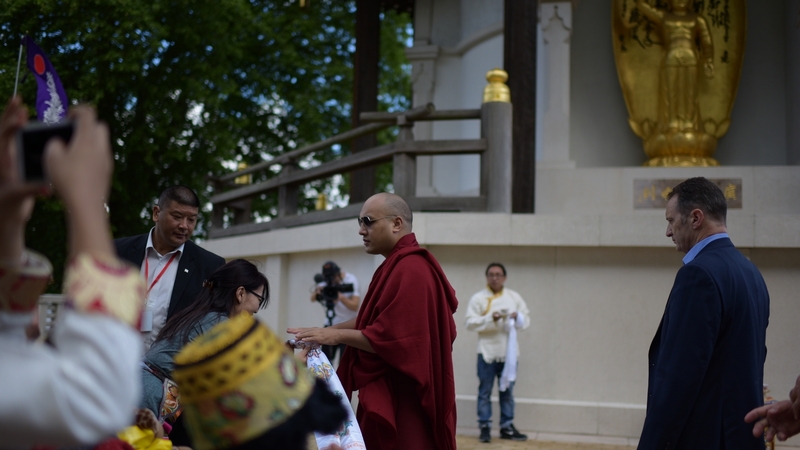 Before their arrival, the head monk of the nearby temple, Reverend Gyoro Nagase, and a Japanese nun, both of whom belong to the Nipponzan Myohoji tradition of Japanese Buddhism, joined a group of Tibetans to prepare the site. 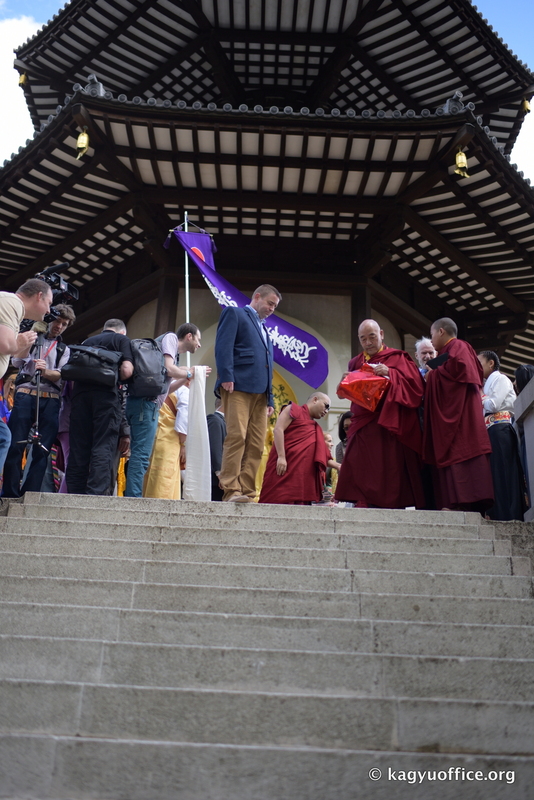 They set up a small alter with an antique incense burner, wafting Tibetan and Japanese incense into the cool morning air. 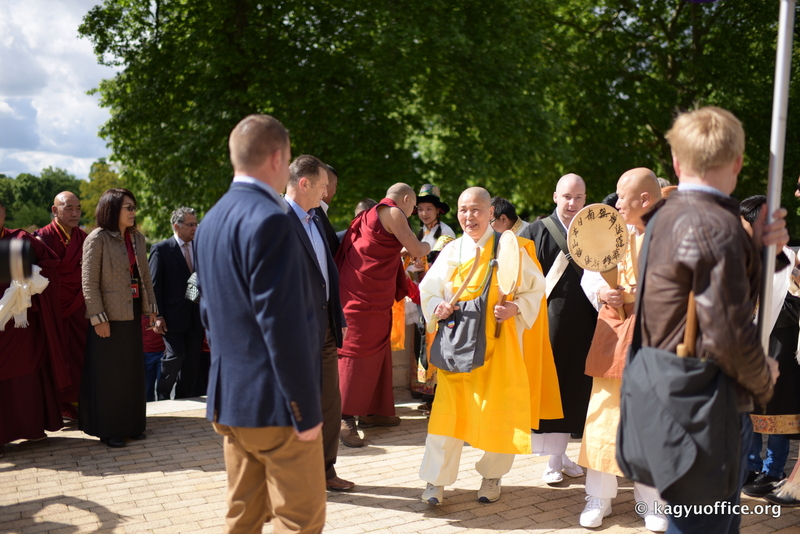 When the Karmapa arrived, these personages were the main ones to welcome him. 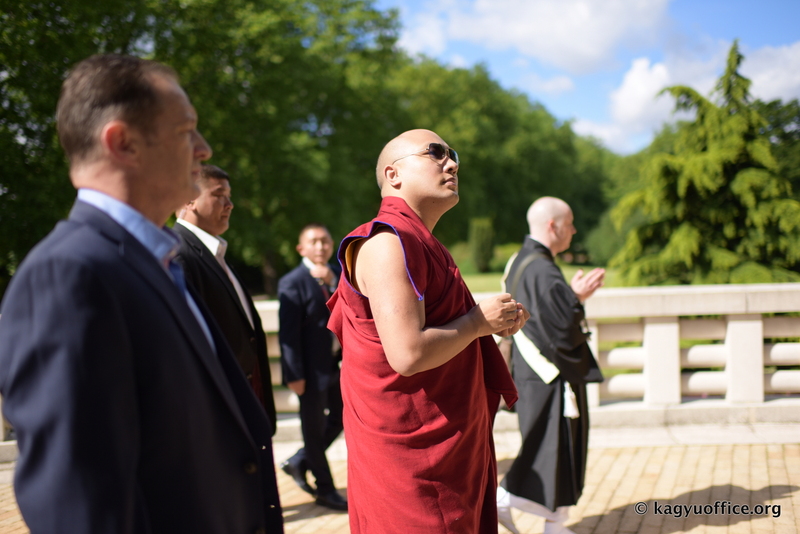 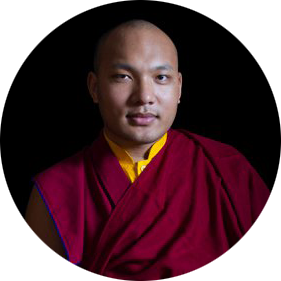 The sounds of Japanese chanting and the pulse of two circular flat drums accompanied the Karmapa as he moved down the line of well-wishers and climbed the marble stairs to the second level of the pagoda. 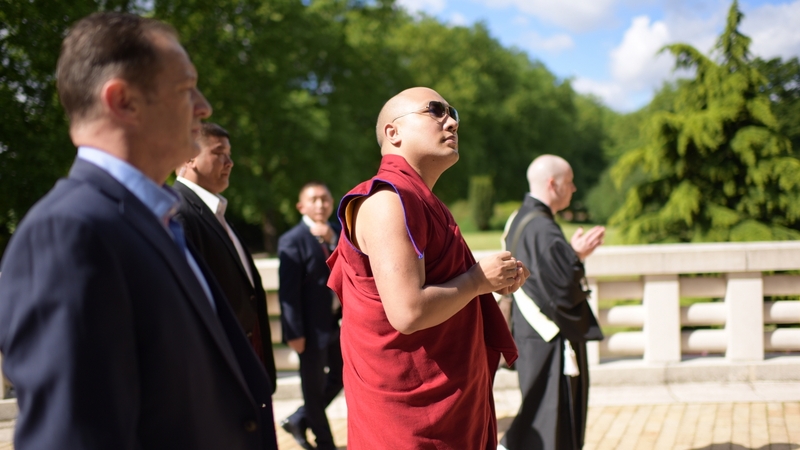 He circumambulated its core three times, pausing along with the monk and nun in all the four directions at the tall alcoves, enshrining gilt-bronze statues of the Buddha. 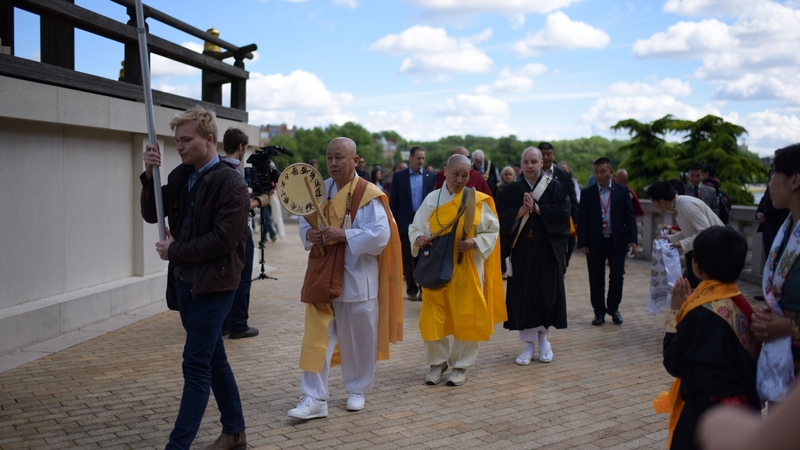 They represented the four major events of his life: birth, enlightenment, first teaching, and passing into nirvana. 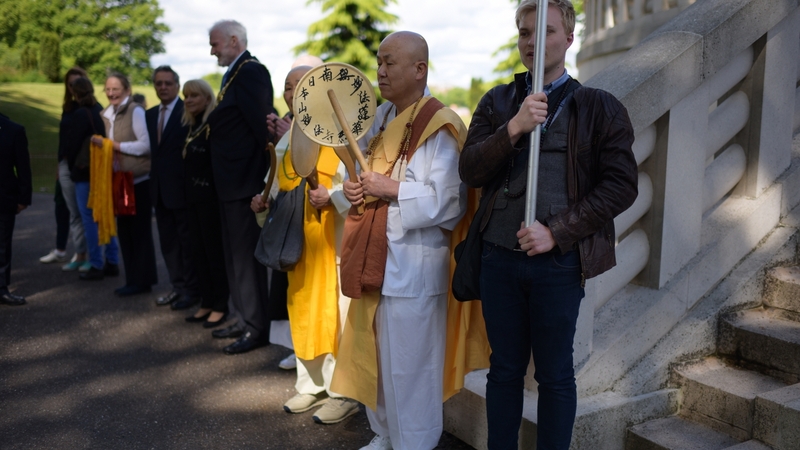 In 1984, this elegant, dark-timbered and white pagoda was offered to London by the Ven. 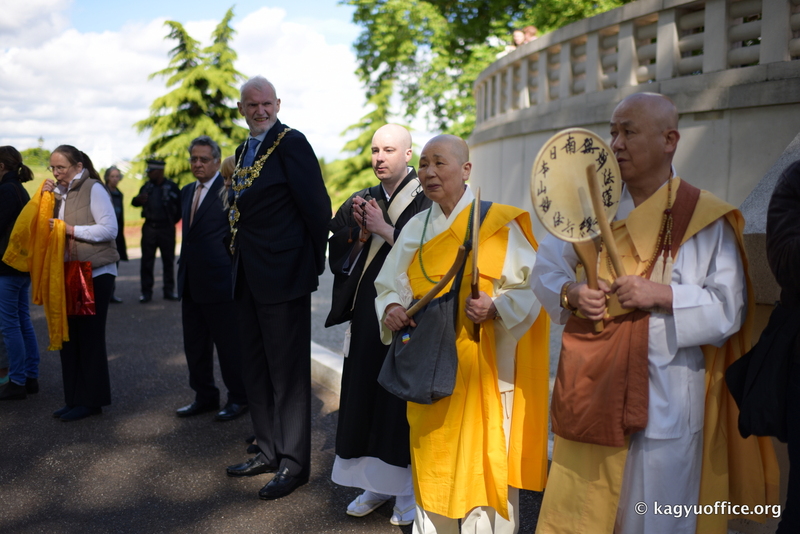 Nichidatsu Fuji (founder of Nipponzan Myohoji), whom his close friend Gandhi affectionately called “Guruji.” The Reverend has stated, “Civilization is not to kill human beings, not to destroy things, nor make war; civilization is to hold mutual affection and to respect one another.” These two qualities of affection and respect turned out to be central themes of the Karmapa’s teaching today, demonstrating once again the values held in common among all Buddhists and those seeking a lasting peace in this world.